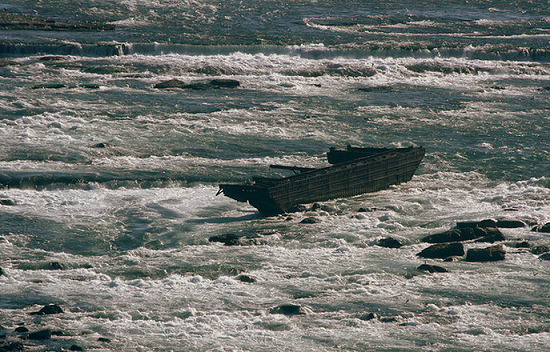 The Old Scow is dumping scow, marooned and rusting away in the Upper Rapids, has been a point of interest to the visitors to Niagara Falls since August 1918, when it broke loose from its towing tug with two men Frank Harris and Gustave Luffberg aboard. This was happened in 6 August 1918. Luckily, the men had the presence of mind to open the scow's bottom dumping doors, grounding it on a rocky ledge where it has remained ever since. 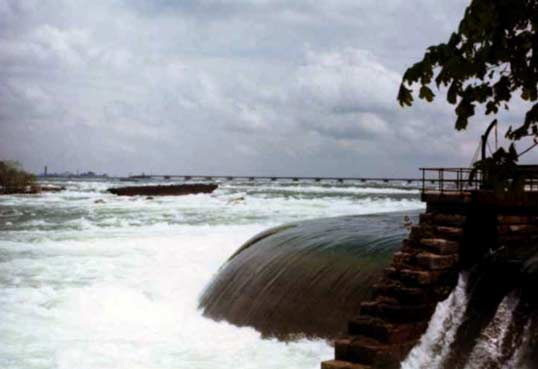 After almost 29 hours on the barge, they were rescued using a breeches buoy connected to a line shot out from the roof of the Toronto Power Generating Station. The efforts of William "Red" Hill Sr cannot just be ignored. 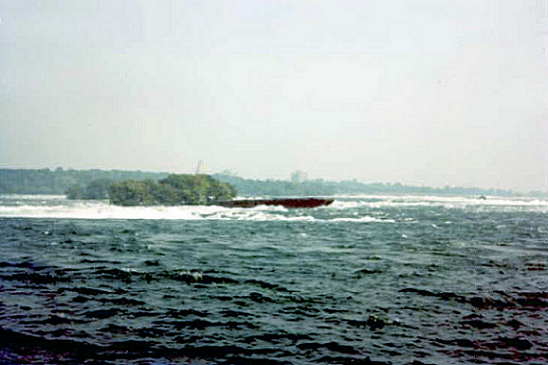 Today, the Niaagra Scow can be seen both from the Canadian side and the US side of Niagara Falls. The Old Scow is open year round to the public for Free. 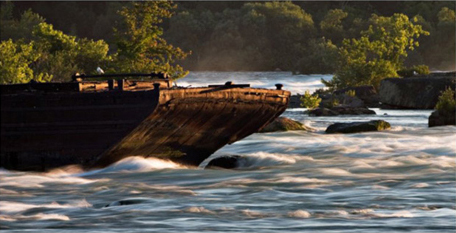 In recent years the old scow has severely deteriorated. 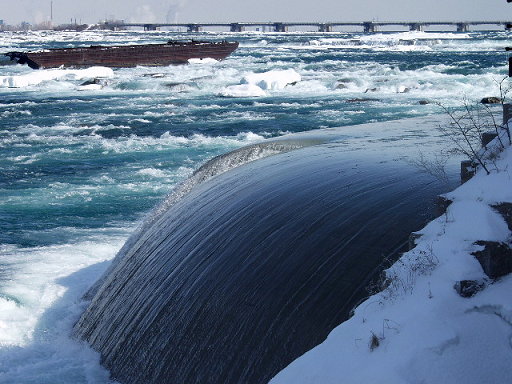 The true extent of its deterioration can only be seen from an aerial tour over Niagara Falls.